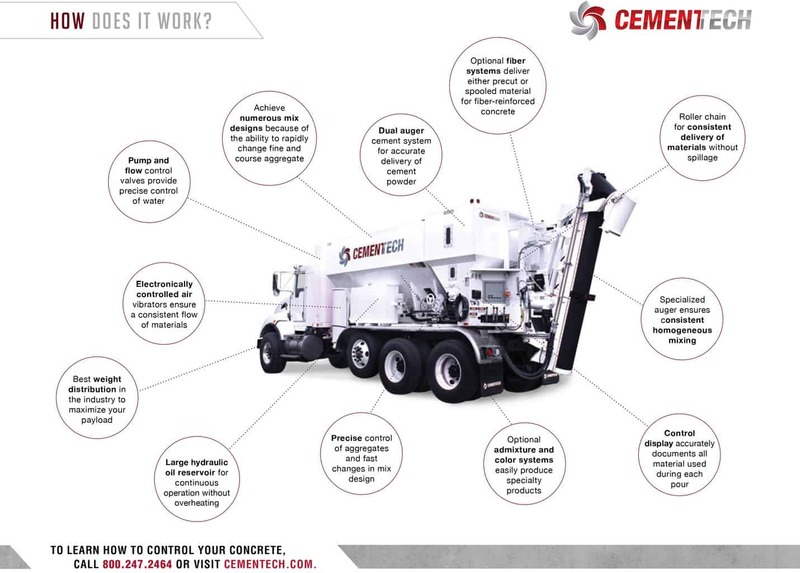 How Do Volumetric Concrete Mixers Work? 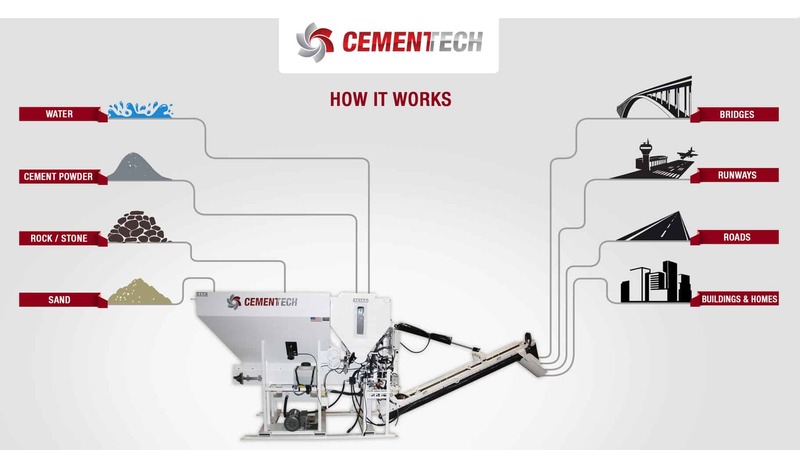 Cemen Tech’s breakthrough volumetric technology is the way concrete should be produced – a batch plant and mixer in one unit. Our mixers batch, measure, mix and dispense all from one unit so every time you have the precise design mix and quantity needed. 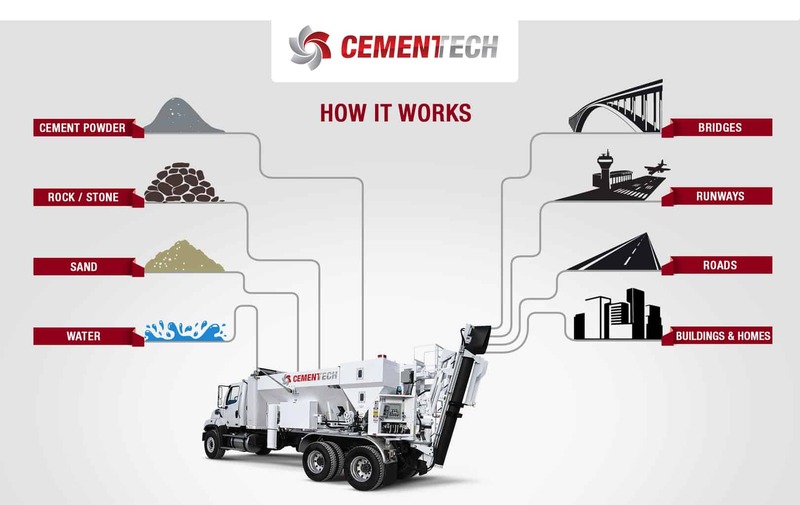 Take control of your concrete and produce fresh, high strength concrete anytime and anywhere you need it. Our mobile and stationary mixers let you choose what fits your needs; our units are used in a variety of applications in 52 countries. 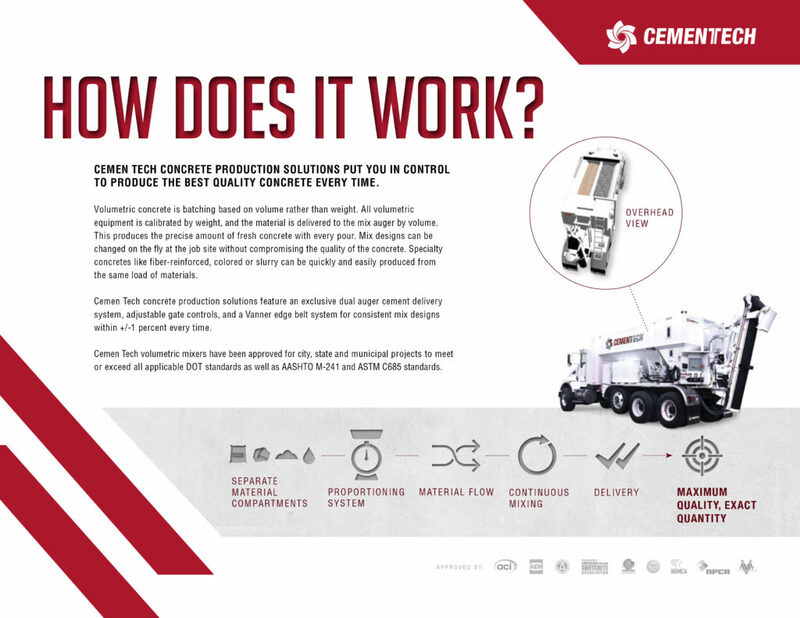 Cemen Tech enables our customers to produce the world’s best concrete one cubic yard at a time. Association Volumetric Mixing Specifications – These briefs include information about the basic design and operation of equipment for concrete production by volumetric measurement and continuous mixing. Definitions, quality assurance and applications about volumetric mixing are discussed. A fee may be required to download the full brief provided by the associations below, if you would like to discuss what is in the brief before purchasing please Contact Us or 800.247.2464.